Math games are a great way to increase the speed of recalling math facts and build confidence. I’ve found a few web-based games that will make learning fun for your kids, increasing their skills. However, it is important that you make sure they have memorized all their math facts first. My Addition/Subtraction Learning System is a fun way for kids to memorize using rhymes and songs. This math game website gets my “thumbs-up” because it is easy to use, has many different levels to choose from and moves along at a good speed for kids. The music may drive you crazy but the bell you hear when the answer is correct is a good motivator. 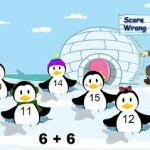 Another game based on the same idea as Penguin Pop-ups but for subtraction. It’s a good idea to play the addition game for awhile and then switch to subtraction before moving to the next level. This game accommodates the early learner through the more advanced student. Alien Addition is fun! 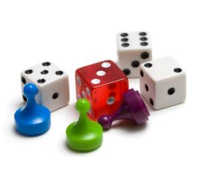 It has a clear explanation of the game rules and can be played at different speeds. I imagine that kids who are better coordinated at moving arrows than I am, and shooting things, would love the game. I’ll keep posting interesting games and apps and websites that look to be good, fun, learning. More later! Thousands of Children’s books – Free!